With over 25 years’ experience in logistics and supply chain and managing the distribution for over 3500 customers PGS Global Logistics have extensive knowledge not just of specific industries but of the overall market as a whole. Through working with sole traders selling personalised gifts on the internet to some of the world’s largest PLCs and blue chip companies PGS Global have over the years been able to adapt, learn and apply our vast supply chain knowledge across the board. 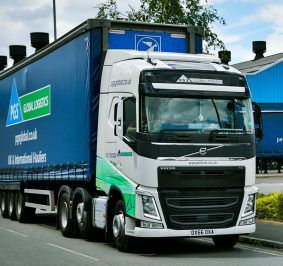 Outside of our networks and dedicated vehicles our supply chain management service aims to act as the transport and logistics department for any of our customers where by PGS Global can handle everything from accepting an order right through to pre-booking, planning and delivering that consignment to your customer whether it be a single item sent as a parcel or whether it’s 100 different skus split over 5 trailers. Being based centrally, having in excess of 300 partners throughout the UK and globally and having a dedicated haulage fleet 70 strong as well as many years of experience in dealing with the UK’s largest distribution centres PGS Global can not only take and manage the logistics for your company but can offer an increased level of service complimented by our industry leading telematic, transport and warehousing systems also allowing us to look at cost savings throughout the process. At PGS we understand that every customer is different and rather than selling one service to all we look at your individual requirements and offer the service best suited in order to maintain and enhance your USP’s in turn increasing your competitiveness within your respective industry. Whether you are looking to utilise our specialist vehicles and drivers on a contract basis for pre-planned routes and deliveries or whether you want a solution to manage the process throughout from a customer placing the order we will have the solution for you. 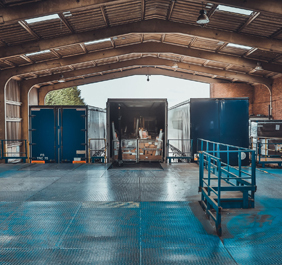 To offer this service on an individual basis PGS Global Logistics and our staff have obtained specialist equipment, qualifications and certifications over the years which can be viewed on the following page titled specialist equipment and distribution.